There are many types of massage. Reiki massage is based on the belief that all of life’s energy force flows through us. If that energy source is interrupted it can alter how we are feeling and change the course of an illness. When life’s energy flow is low, we may feel sick, down or stressed. By contrast, when that energy is high we may feel happy and healthy. Picture heavenly hands guiding your masseuse through your massage and you have a fairly good picture of what Reiki is considered to be. If a person’s energy is blocked they may feel ill or sick. When that person’s energy is released they will feel healthy and content. As the person is preparing for their Reiki treatment they should repeat these principles to themselves either quietly in their head or out loud. » Principle 1: Just for today, I will not be angry. Anger can block a person’s energy. By releasing anger a person is reverting back to peace and restoring harmony within the body. » Principle 2: Just for today, I will not worry. Worry dwells on the negative. This also blocks the energy within the body. Releasing worry and giving it over to a higher power restores the harmony within the body. » Principle 3: Just for today, I will be grateful. Thankfulness and gratitude restore harmony and help us to be happier. Practice saying “thank you” and practice being grateful even if things don’t work out as desired. » Principle 4: Just for today, I will do my work honestly. Leading a life of honor and being respectable are far more important to life and happiness than wealth and money. » Principle 5: Just for today, I will be kind to every living thing. Practicing kindness brings joy to the heart. Honor the elderly, parents and authority. Honor every living thing and restore that harmony to the heart. 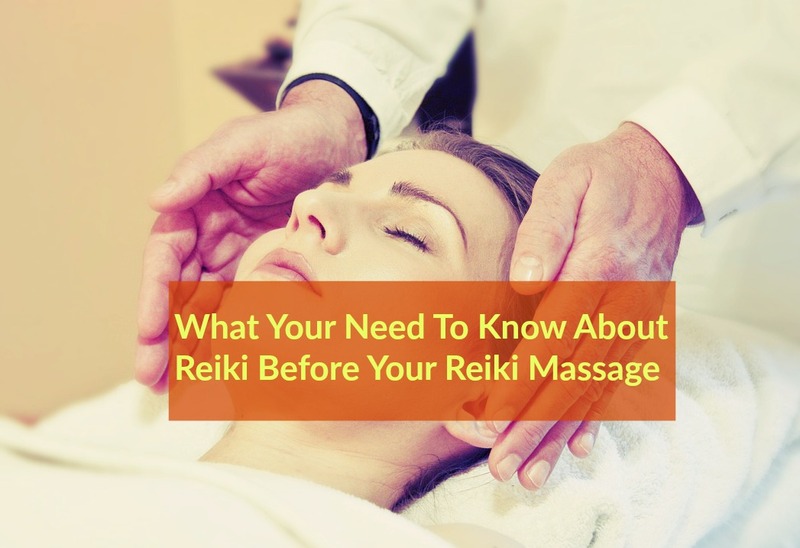 Receiving a Reiki massage is different than other types of massage. With Reiki, the students aren’t trained in the traditional masseuse training sense. Instead, the Reiki masseuse has had the ability transferred to them via an attunement (a form of energy medicine). This attunement is directly from a Reiki master. As students attend a Reiki session the master will tap into their life force energy and the energy is transferred to the student. There is no requirement for a formal university or college attendance to become a Reiki masseuse. It’s never an indicator of a person’s intellectual ability nor is it dependent upon their spiritual development although Reiki is a spiritual sensation when it’s properly given. There is no requirement to believe a specific way if a person is seeking a Reiki treatment. In fact, it will work regardless of what a person chooses to believe in. Many people, however, choose to feel that Reiki brings them closer to God. They feel that it’s a form of religion or a religious experience. This doesn’t put any bearing on whether or not treatments will work however so if a person is seeking an alternative therapy they aren’t required to believe in God or anything higher to be treated. The key to Reiki is that it treats the entire body, this includes the emotions, the mind and the spiritual portion of the body as well as the physical portion of the body. As the muscles of the body relax, the energy begins to flow freely and the person begins to feel “lifted up” and lighter. It focuses on helping the patient to relax and get in tune with their innermost being. It focuses on letting the world go and bringing in the light of peace and health. A Reiki massage instills peacefulness and relaxation into the person’s very being. It’s soothing, healing and relaxing. Reiki works alongside modern medicine so it can be used in conjunction with other treatments such as chemotherapy or medications. Reiki can also help to relieve menopause symptoms in women who are struggling with the changes in their bodies as they age. Reiki is soothing and healing. A peacefulness will literally pass over the person as they are in their Reiki session. Are There Any Scientific Studies About It? Physicians and scientists alike always do their research on any medical treatment. If asked if Reiki works, many would reply that it works, but not in the same fashion as regular medicine works. Reiki works by relaxing a patient and allowing their body to heal naturally. It restores balance which in turn may allow a patient’s body to accept modern medicine in a different fashion. There have only been a few clinical trials with Reiki and the control groups have been fairly small. To date, these studies have shown that it may be beneficial in reducing stress and stress-related conditions. More studies are underway and results are still pending. After an intake session where the practitioner will ask some typical medical questions, the patient will either sit in a chair or lie on a massage table. The patient will remain fully clothed. The practitioner’s hands may feel hot or cool depending upon the specific session. As the practitioner places their hands on the various parts of the body the patient may feel a change in temperature, reduced stress, and the patient may feel as if they fell asleep during the process. Sometimes the sensations are so subtle that the patient won’t feel anything during the treatment however, they may feel results of the session later in the day. Reiki treatments are an ideal complimentary therapy to go alongside other therapies. They are soothing and relaxing and may prepare the body to accept other medications better. Ideal for anyone suffering from diabetes, AIDS/HIV, high blood pressure, heart conditions and more. Reiki can work hand in hand with modern medicine and enhance the effects of modern medicine. Reiki appears to be generally safe but it should not be used to postpone seeing a healthcare professional!